Art is powerful. It has the ability to communicate important social, political and environmental issues in a way that is loud and unyielding in its resolve and at the same time playful and beautiful in its approach. Can’t You Sea? is an exhibition of art that brings awareness to one of our world’s most immediate and biggest environmental problems: plastic ocean pollution. The ocean contains an estimated 150 million tons of plastic, with 8 million tons added annually—equivalent to a garbage truck load every minute (2015 study). Plastic ocean pollution injures and kills marine life, spreads toxins and poses a potential threat to human health. This global environmental issue has been dramatically elevated over the past three years, and the Art Museum is proud to become a part of the conversation by bringing ocean plastic pollution awareness to Myrtle Beach and its summertime visitors. Can’t You Sea? is an exhibition of ARTifacts created by six artists/activists: Dianna Cohen, Alejandro Duran, Sayaka Ganz, Pam Longobardi, Aurora Robson and Kirkland Smith, who employ discarded plastic as both an artistic medium and as subject matter. While helping make the world a better place by keeping plastic out of our oceans, beaches and waterways, these artists are bringing awareness to this increasing environmental threat by using that plastic to make beautiful art objects that speak to the dangers of ocean plastic pollution. 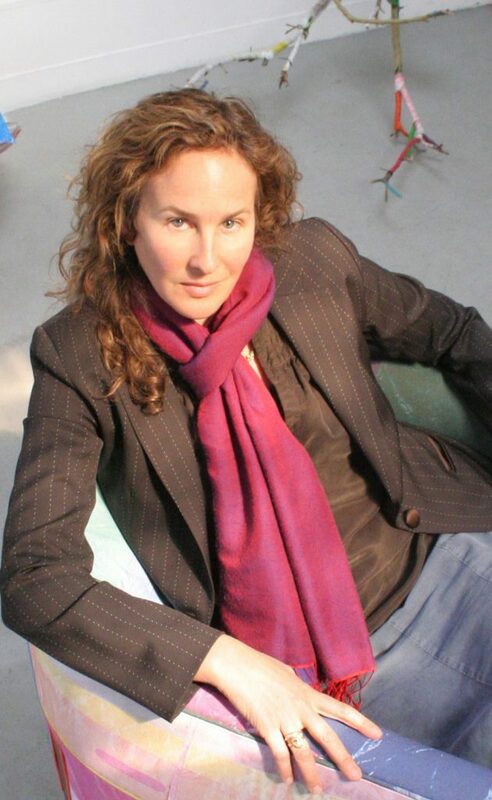 Los Angeles based visual artist Dianna Cohen is the CEO and Co-Founder of Plastic Pollution Coalition (PPC). Cohen uses plastic in her artwork to make a visual and social impact. With plastic bags as her primary material, Cohen is interested in exploring its materiality through modifications and the material’s relationship to culture, media, toxicity and the world at large. Through the medium of photography, Alejandro Duran arranges the plastic debris he finds washed up on Mexico’s Caribbean coast into colorful, fantastical landscapes that surprise and delight the eye. Japanese-born artist Sayaka Ganz calls her style 3D Impressionism. Utilizing reclaimed plastic objects like brush strokes, Ganz creates fluid marine sculptures. Pam Longobardi of Atlanta, GA, is the creator of the Drifters Project, which addresses global plastic pollution and the changing ocean. Working solo or with communities, Longobardi has cleaned beaches of plastic all over the world, removing thousands of pounds of material from the natural environment and re-situating it within the cultural context through her art, which ranges in media from painting and photography to sculpture and installation. Aurora Robson is a multi-media artist known predominantly for her abstract sculptural work made of plastic intercepted from the waste stream in an effort to shift negative behaviors. Robson founded Project Vortex, an international collective of artists, designers and architects, who also work with plastic debris in an effort to inspire others to rethink and reinvent plastic waste in innovative ways that promote creative stewardship of our global waterways. South Carolina native Kirkland Smith creates large-scale assemblages with post-consumer materials she collects from neighbors and friends’ waste, thereby keeping them out of our water systems. Can’t You Sea? is sure to be an exciting visual experience for Art Museum visitors. We are also developing an enriching series of educational programs for all ages designed to accommodate the exhibition’s conservation efforts, including a fascinating lecture series titled Planet or Plastic.